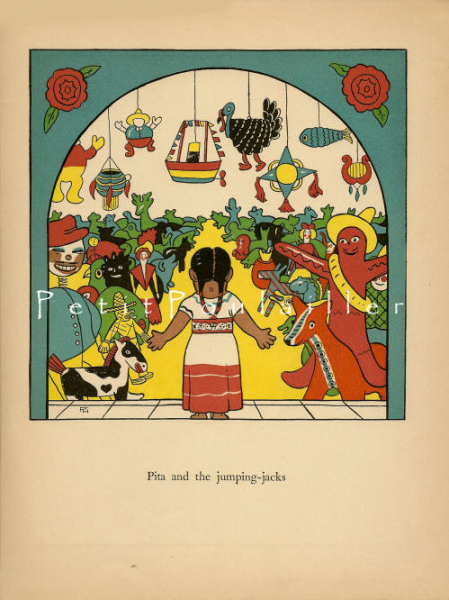 Here is Elizabeth Morrow's beautiful book, 'The first children's picture book from Mexico'. 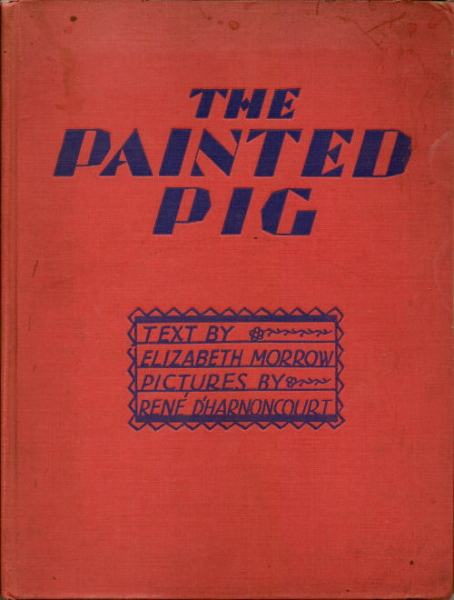 Elizabeth Morrow was the mother of Anne Morrow (Mrs. Charles) Lindbergh and 'The Painted Pig' tells the story of two Mexican children who try to find a painted clay pig. The illustrations are by Rene d'Harnoncourt, in bold and vibrant colors. 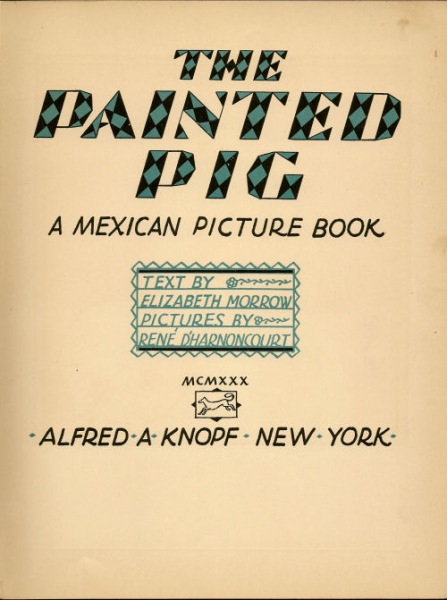 There are 10 linear in-text illustrations and 14 full-page color lithographs. There is no book dust cover. The front cover, in a lovely brick-red, shows some light shelving scuffs. The interior papers are lovely and clean. Illustrated endpapers, with the front inside endpaper bearing an owner's name and date, 'Nancy Rae Gainwell - 1930'. The condition is 'Fine', showing light soiling and a very gentle over-all tanning to the papers. The numbered pages are tight, with some pages loosened at the spine. There are no marks, no tears, folds, or creases. 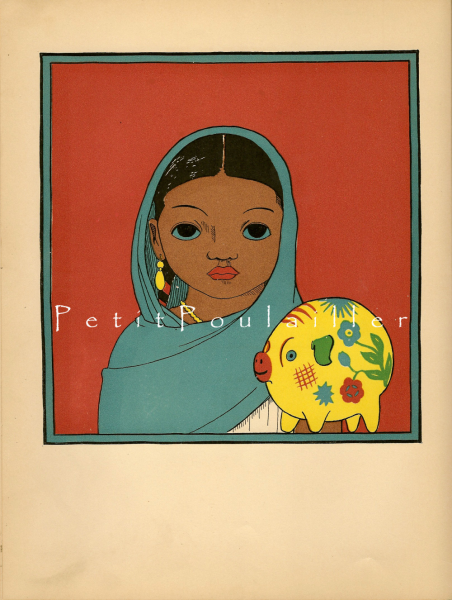 This is a beautiful book; a culturally historic children's book with gorgeous illustrations. You are purchasing an original 1930 1st edition book and it does not have watermarks. I will send this to you flat, protected, and by USPS 1st Class mail.